The sustainability credentials of Tork manufacturer Essity were recognised with a prestigious award at Tissue World Milan. The company won the award for the Most Energy Aware Mill for its facility in Lucca, Italy, at the event in March. Jangro, the largest network of independent janitorial and cleaning distributors in the UK and Ireland, is celebrating after a triumphant Cleaning Show 2019 (19-21 March 2019 at ExCeL). Following the success of Retran, Bell Packaging have introduced a new initiative to their range of recycled packaging. Finding ways in which we can reduce water consumption is of huge importance in the cleaning industry, especially given the vast amount of water used during even simple cleaning operations, explains ICE. 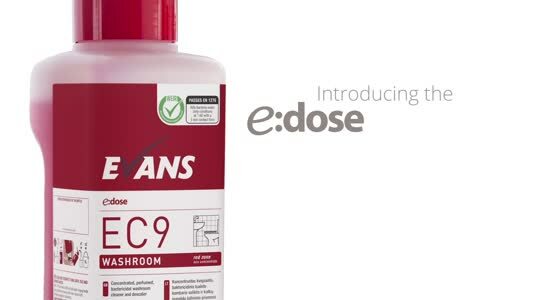 Oderase, the first and only fragrance-free, odour erasing bathroom spray in the UK market, which is made by Aqdot, has been awarded the prestigious Cradle to Cradle certification at the Silver level based on an impartial and independent evaluation of the product’s Material Health, Material Reutilisation, Renewable Energy, Water Stewardship and Social Fairness. Mirius are proud to announce they have won two awards at the recent London Excel Cleaning Show 2019. Winning the Cleaning Products Innovation Award for their 100% recycled bottle, the bottle then went on to be crowned overall winner at the coveted CSSA London Cleaning Show Awards – BEST OF THE BEST, one of the highest accolades within the cleaning industry. Leafield Environmental has launched a new range of stylish, slim Enviropods that it claims are ideal for use where available floor space is restricted. RPC bpi recycled products, a leader in responsible sourcing and manufacturing of plastic materials, has launched a range of premium, sustainable polymers made from 100% recycled plastic called SUSTANE. Demonstrating its commitment to the environment, Jangro, the UK and Ireland’s largest network of independent janitorial distributors, launched a brand new catalogue dedicated to sustainability at The Cleaning Show (19-21 March, ExCel, London). Genesis Biosciences has announced a new UK wide distribution partnership with Admiral Cleaning Supplies for its Evogen Professional range. After a successful 2017 edition, Wecoline will participate once again at The Cleaning Show in London. A Birmingham-based and privately-owned commercial cleaning company has taken delivery of its first electric cars as part of a green commitment to go all-electric with its commercial car fleet. Mirius, the new name for Coventry Chemicals, have announced they’ve joined forces with one of the UK’s largest recycle bottle manufacturers to offer its customers a trigger spray bottle made solely from 100% recycled plastic (rPET). The new stylish EnviroStep pedal bin from Leafield Environmental is rapidly becoming a favourite for recycling in preference to individual desk bins. Holchem’s Holistic Green Range is a selection of concentrate and ready to sse cleaning products that are Ecolabel accredited and designed for use in the hospitality sector. According to Leafield Environmental, its new stylish EnviroStep pedal bin is rapidly becoming a favourite for recycling in preference to individual desk bins. Diversey has published its Annual Sustainability Report, which includes a new “Facilitators for Life” strategy and goals aimed at creating a healthier and safer world for everyone. CLARITY-The Soap Co. is a social enterprise creating work for people with a range of disabilities and long-term health conditions through the manufacture and sale of a range of everyday and ethical, luxury household, washroom and beauty products. The multi award-winning Celtic Manor Resort in South Wales has adopted HSG’s Ureco washroom water conservation system to boost its environmental credentials and improve the visitor experience at its five-star facilities. Recycling has played a major part in the drive to become more environmentally conscious; for many members of the public, it represents the core way for them to ‘do their bit’ for the environment. However, we are all being called upon to go further, recycle more, reduce consumption and waste, and think more carefully about the impact of products we buy. For businesses, the issue is equally important and, as well as sustainability, the term environmental stewardship is becoming more common. Palm oil is bad but is boycotting it far worse? "Sustainability today is all about efficiency"
Diversey has been a long-term supporter and partner of the Golden Service Awards, initially as a category sponsor and for the past decade as the event’s Gold Sponsor. Throughout this time the company has increased its involvement with the event and instigated the Environmental Awareness Award which it also sponsors. ecgo® Cleaner Super+ is an efficient, high performance cleaner based on the latest intelligent fluids® technology. The worlds best selling carpet cleaning detergent. A “Woolsafe” Soil Retardant Carpet Shampoo with Biosolv. Based on intelligent fluids® technology ecgo® Glass Cleaner is an efficient, high performance cleaner developed to give streak free finishes to all windows, mirrors and glossy surfaces. Hydro-Filter™ In-Line Waste Filter New Design Improves CFM by 11%! With a turnover in excess of £13.5bn, the UK print sector employs around 122,000 people and contributes more than £6.1bn in Gross Added Value (GAV) to the UK economy. ecgo® Graffiti Remover is an efficient, high performance graffiti remover based on intelligent fluids® technology. A key product to ensure your employees or visitors feel comfortable when visiting your premises. Available in a range of colours and sizes, you will also benefit from a free duty of care certificate. ecgo® Graffiti Remover Plastics is an efficient, high performance graffiti remover developed specially for synthetic surfaces and is based on intelligent fluids® technology.